High waste dress confectioned with embroidered tulle completed with gemstones feathers and silky tulle. Strapless dress with ruched sleeves made with silky tulle. Embroidered skirt pipe, ankle skirt. 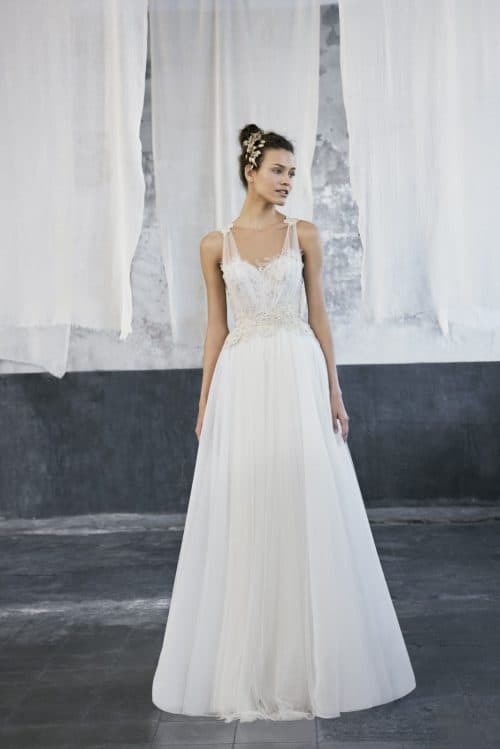 Overskirt going out of the figure in silky tulle elaborated with two-tier.